Danicia Quinlan is the new Fremantle Chamber of Commerce CEO. Photo: Andrew Ritchie. d491776 communitypix.com.au. 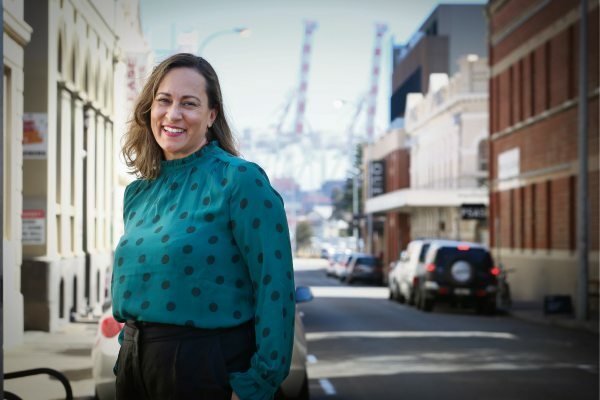 THE new Fremantle Chamber of Commerce chief executive says focusing on what makes Fremantle different is one of her long term goals. Danicia Quinlan has just begun the role after predecessor Olwyn Williams resigned earlier this year. Ms Quinlan said she has had a diverse career. “I started originally in market and social research, it was unexpected but it was an amazing platform for getting an understanding of a wide variety of sectors,” she said. “I also started my own consultancy and ended up at the Fashion Council WA. “Whilst some people may think there are so many different hats there is a really consistent thread through all of them, understanding communities and businesses and enabling and developing opportunities. She said one of her short term goals was reinvigorating the chambers building. “Getting the occupancy up in there to get back to the roots to be the commercial hub of activity which it was designed for,” she said. In the longer term Ms Quinlan said she hoped to build on the opportunity of all the new developments occurring in and around Fremantle. “We have Victoria Quay being developed, we have Kings Square we have amazing plans to connect us closer to the water fronts,” she said.